50 or over and still fancy playing football? 7pm to 8pm each Monday at TCAT, is your chance to join a few like minded guys to break out a sweat without breaking a leg or being played off the park by a cocky 18 year old. 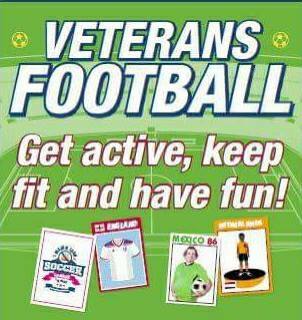 It’s indoors on astroturf so just bring a pair of trainers, and have some fun. Perfect if you are normally sat down all day and feel like you should be doing a bit more to get active. First session free, then £2. No need to book, just turn up & play. Tag your Dad, husband, colleague or anyone from Shrewsbury Town Football Club. ← The Clifton Cinema Plans – Good or Bad?